It was another cool day in Elmore City. The high was in the mid fifties but with the wind it felt much cooler. And it stayed cloudy all day. However, the gray clouds didn’t put a damper on our worship at Elmore City UMC. The team all went to Sunday School and then worship. 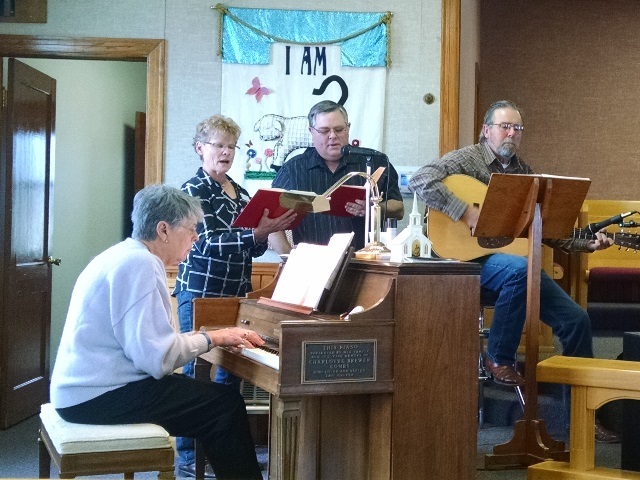 Pat even sang a special with the praise team, which we all enjoyed. The pastor’s message was very good and went right along with our Sunday School lesson. 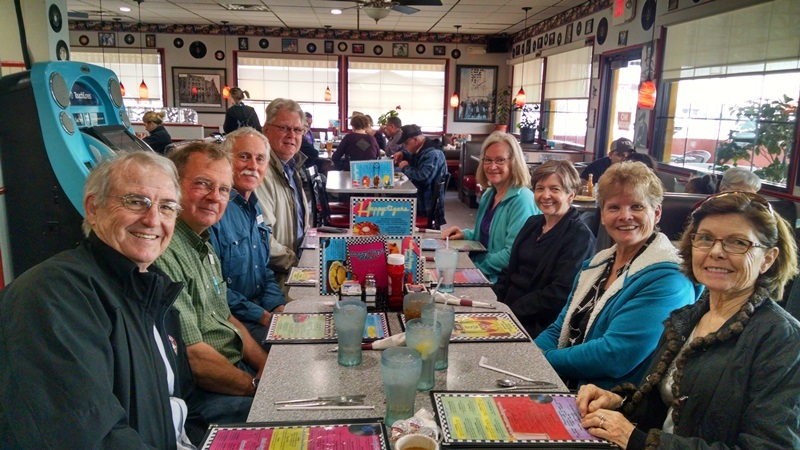 After church we all went to Pauls Valley, about 15 miles away, to Happy Days Diner. It is as one would expect of a 50’s style diner along the lines of the Happy Days TV show. There was a Fonzarella and other menu items from the TV show. They serve breakfast all day plus lunch and dinner entrees. Gwen and Gary had been here earlier in the week and enjoyed the meal so we went back today as a team. There are some poor ratings on Facebook, but our experience was good. Everyone enjoyed the food and our service was good so we can recommend this restaurant. We rested and did some planning after getting back to the rig this afternoon and then had our usual Sunday evening team meeting in Gary and Gwen’s rig. We got to know our new team members, Barb and Henry from Iowa, a little better and made some plans for tomorrow. Hopefully we will be able to just jump in and start accomplishing some things in the morning without spending time in the planning stage. Oh, and Gwen served us apple pie and ice cream. Good stuff. Thanks, Gwen! Hope everyone has a great week and check back in tomorrow to see what we get done. Next Next post: A Productive Day!